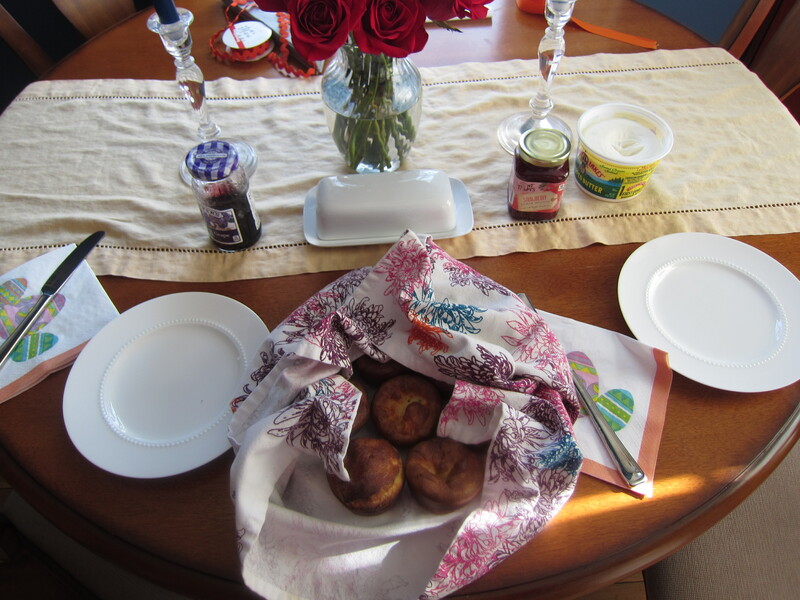 Remember back in February when I lamented not paying more attention to my mom making popovers? Well, I finally made steps towards mastering the popover, with my mom’s help. 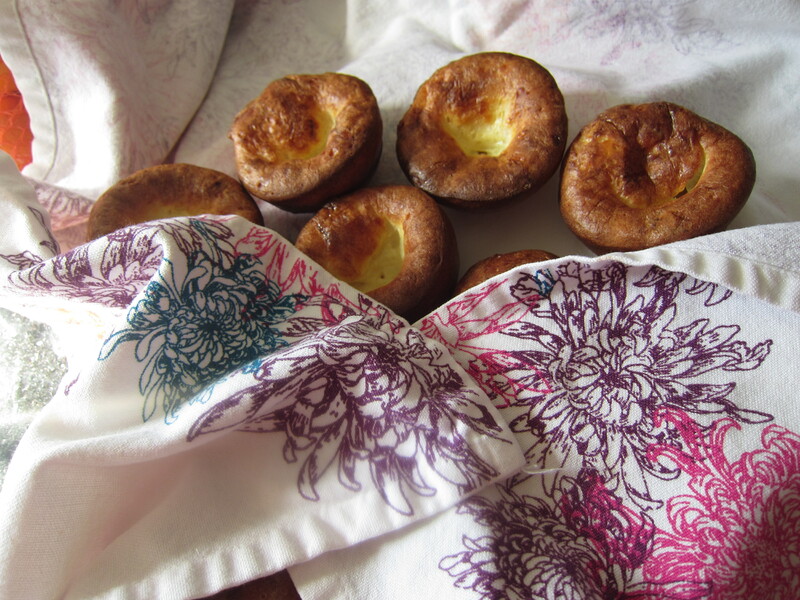 Last week she sent an email to my sister, one of her brothers, and me with an article about popovers and a recipe. “We should make them in honor of Daisy Nana this weekend!” she wrote. So I did! 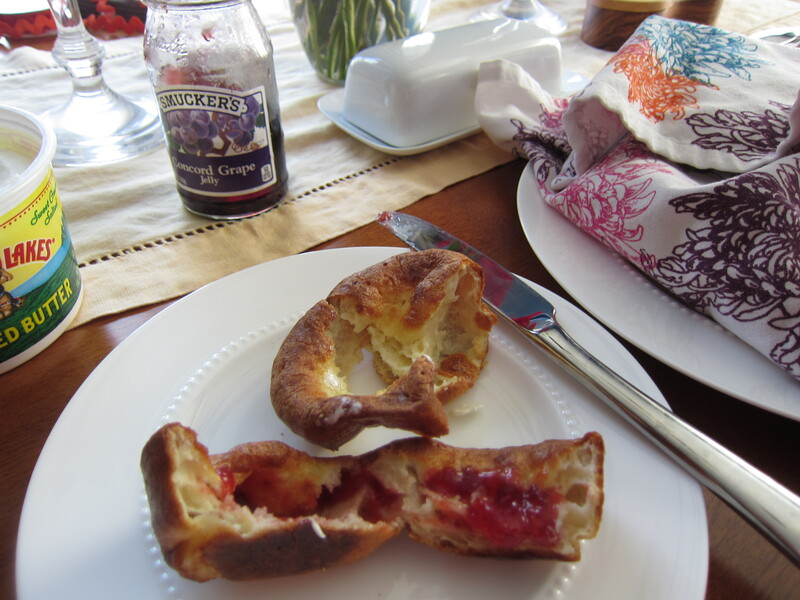 Popovers were a special occasion breakfast in my family. Mostly for Maggie’s birthday but also for the occasional holiday or special visitor. For being a special occasion breakfast, they are super easy! 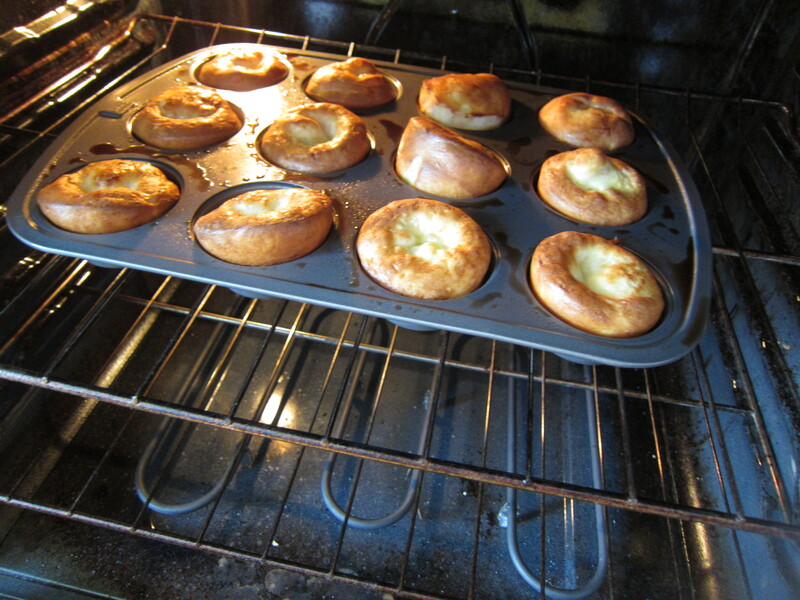 There’s a hot oven method and a cold oven method to popovers. Daisy Nana, my mom, and the recipe my mom sent all use the cold oven method. Daisy Nana’s recipe was so close to the recipe in the article so I just used the recipe in the article. I liked that the article called for an extra 1/4 teaspoon of salt. We like our salt in our household. There were a few other differences between the two recipes. First, Daisy Nana turned her oven down to 350 degrees for the last five minutes and this recipe called for the oven to remain at 450 degrees for the last five minutes. Second, Daisy Nana used custard cups but I used muffin tins. My mom uses muffin tins, too. Doesn’t all the sunshine in these photos make you so happy? Oh, Spring, keep doing your best to get here and stay here! Mix all ingredients together and pour batter into greased custard cups or muffin tin. Place in a cold oven. Bake at 450 for 25 minutes. Reduce eat to 350 for 5 minutes or until golden brown. Remove from oven. Puncture to let steam escape. Serve hot. This entry was posted in cooking by Sarah. Bookmark the permalink.